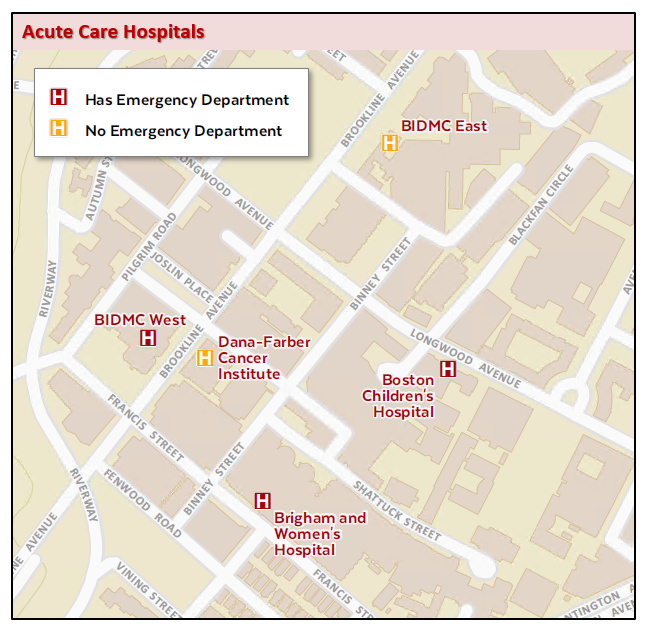 This point datalayer shows the location of 75 acute care hospitals in Massachusetts. Acute care hospitals are those licensed under MGL Chapter 111, section 51 and which contain a majority of medical-surgical, pediatric, obstetric, and maternity beds, as defined by the Massachusetts Department of Public Health (DPH). The features in this layer are based on database information provided to MassGIS from the DPH, Office of Emergency Medical Services (OEMS) and the Center for Health Information and Analysis (CHIA). All hospitals in the state that have a 24-hour emergency department are included in this layer, but not all facilities in this layer have an emergency department (the ER_STATUS field stores this data). Other attributes include cohort, adult and pediatric trauma levels, and special public funding. See CHIA's Massachusetts Acute Hospital Profiles page for more information. The layer is named HOSPITALS_PT. "Specialty hospitals" are not included in this layer. Many can be found in the Non-acute Care Hospitals (HOSPITALS_NONACUTE_PT) layer. 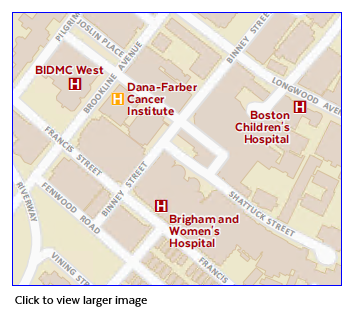 The MassDEP GIS Group developed the original dataset by geocoding a table of hospitals provided by the Massachusetts Division of Healthcare Finance & Policy. For the December 2018 update, MassGIS compared the latest data from MDPH and CHIA with the previous (August 2009) version and added and removed features as needed. Points were snapped to features in the Master Address Data and the MAD ID was added. MassGIS also modified the attribute schema. CHIA reviewed the final revision in November 2018. Academic Medical Centers (AMCs) are a subset of teaching hospitals. AMCs are characterized by extensive research and teaching programs, comprehensive resources for tertiary and quaternary care, being principal teaching hospitals for their respective medical schools, and being full service hospitals with case mix intensity greater than 5% above the statewide average. Teaching Hospitals are hospitals that report at least 25 full-time equivalent medical school residents per 100 inpatient beds in accordance with the Medicare Payment Advisory Commission (MedPAC) and are not classified as AMCs. Community Hospitals are hospitals that do not meet the MedPAC definition to be classified as teaching hospitals and have a public payer mix of less than 63%. Community-High Public Payer (HPP) Hospitals are community hospitals that have 63% or greater of Gross Patient Service Revenue (GPSR) attributable to Medicare, MassHealth, and other government payers, including the Health Safety Net. ER_STATUS Y -- facilities licensed by the state to have an emergency department open 24 hours a day, seven days a week. N -- facilities that do not have 24-hour emergency departments that accept ambulances. TRAUMA_ADU Indicates the level of adult trauma care (Level 1, Level 2 and Level 3), if provided. If blank, the facility is not a verified trauma center. TRAUMA_PED Indicates the level of pediatric trauma care (Level 1 and Level 2), if provided. If blank, the facility is not a verified trauma center. DSTI (Delivery System Transformation Initiatives Program).